Over the last few days subscribers received TrueHoop’s PUTIN WEEK wrap up and David Thorpe’s assessment of Duke’s Zion Williamson. 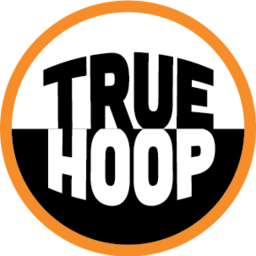 In addition to full articles at least twice weekly, subscribers have access to TrueHoop closed group events. Once upon a time they said Charles Barkley was the wrong shape and size for the NBA. He was maybe 6-foot-5. Too small, they said, for a power forward, and bulky against many of the NBA bigs. Many said he would struggle in the NBA! He didn’t. At all. His hands, skill, and feel for the game, his extreme competitiveness and aggression, and his overall talent made him an 11-time All-NBA choice. Barkley is my favorite comparison for Zion because of his fire. Zion competes, every game, like he’s hoping to make the team. That motor more than makes up for height issues, as Barkley’s opponents, and Zion’s, can attest. Williamson barely ever takes even a possession off. Barkley attacked the game similarly. When he played, he was never the funny, smiling guy he is now on TNT. He was destructive on both ends of the court. Thanks to that motor and those elite-level hands, he out-rebounded taller players like he had vacuums for hands. There are people who worry about his NBA position. I’m not one of them. His position will be on the court, a lot. On Thursday, PUTIN WEEK wrapped up with an exploration of Nets owner Mikhail Prokhorov’s relationship with Vladimir Putin. The investigation so far: Part 1.Part 2.Part 3.Part 4.Part 5.Part 6.Part 7. Well-placed sources suggest that, because of a falling out with the Kremlin in 2016, Prokhorov may have fled Moscow entirely. In the hallways of PutinCon, I swap contact information with Aric Toler of BellingCat. His presentation (which I mentioned earlier) tracking a Russian missile launcher across Europe using social media posts is one of the most impressive things I’ve ever seen. If I ran an intelligence agency, I’d hire him immediately. In the weeks to follow, Toler emails with a suggestion about how to assess where Prokhorov lives now: track his plane. If we find that Prokhorov’s plane is everywhere but Moscow, or spending all kinds of time in New York, it will be a strong signal that Kara-Murza and Soldatov are right, and that Prokhorov has had some kind of falling out with the powers that be. In the absence of better intelligence, it will burnish the Nets owners’ Khodorkovsky credentials. There is strong evidence Prokhorov is the owner of an enormous Airbus with the call sign M-RBUS. I’ve since been told by someone who knows him that Prokhorov has another plane as well. (Toler says he “would be surprised if he didn't have more!”) M-RBUS is big and shiny and was outfitted at the Basel Airport in Switzerland (with what they call a “VIP CONFIG”) in 2012 by Global Jet Luxembourg, which reportedly has clients like Roman Abramovich, Alisher Usmanov, and Sheikh Mustafa Ala-Idris. As Toler points out, there are many good ways to track planes online. When Toler and I dug in we found M-RBUS moved in ways that were believable for Prokhorov, often calling at places he has mentioned in the media. It’s billionaire stuff; three days here, nine days there. Frequent visits to France, sometimes the Cote D’Azur, other times the Alps where we know he likes to ski. Tenerife, Greece, Mallorca, Israel, Switzerland, Thailand. On the Spanish island of Ibiza, known for its lively high-end nightclubbing, early summer is party season. The M-RBUS plane was a constant presence. Five visits, or 10, depending on when you count. Prokhorov is forever mentioned as someone who loves nightclubs. But there is one other thing to learn from M-RBUS. The most common location of Prokhorov’s plane, the place from which it typically commutes to Ibiza? Enjoying the TrueHoop preview? Add truehoop@substack.com to your email contacts list. And subscribe now for full access to TrueHoop.